R. Kerry Rowe, OC, Ph.D., DEng., DSc(hc), FRS, NAE, FREng, FRSC, FCAE, FEIC, FASCE, FIE(Aust), FCSCE, P.Eng, CP.Eng. 2016:Elected Foreign Member, US National Academy of Engineering. 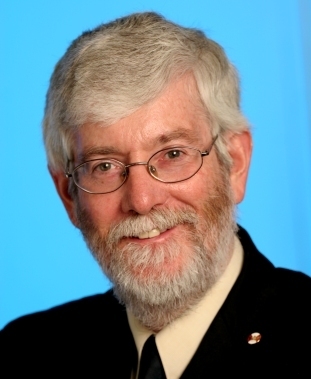 2015:Miroslaw Romanowski Medal, Royal Society of Canada. 2015:Distinguished Lecturer, Institute of Advanced Study, The Hong Kong University of Science and Technology, Hong Kong. 2014:International Geosynthetics Society Award and Gold Medal for an Outstanding Contribution to the understanding of wrinkling in geomembranes. 2011:Distinguished Geotechnical Lecturer for 2011 ‑ Virginia State University and Polytechnique Institute. 2010:Elected Fellow, Royal Academy of Engineering (UK). 2007:6th Lovell Distinguished Lecturer, Purdue University. 2006:XXIII Manuel Rocha Lecture, the Portuguese Geotechnical Society, Lisbon. 2005:Distinguished Geotechnical Lecturer for 2005 Monash University, Melbourne. 2005:The Hong Kong Polytechnic University Distinguished Lecturer for 2005, Hong Kong. 2005:Outstanding Contribution Medal, awarded by the International Association for Computer Methods and Advances in Geomechanics for “outstanding and seminal research contributions in geomechanics that have been adopted for basic research and practical applications”. 1999:A.G. Stermac Award for Service to the Canadian Geotechnical Society. 1998:Selected by the IGS Awards Committee to be the Giroud Lecturer (given every four years) at the 7thInternational Conference on Geosynthetics, in Nice, September 2002. 1997:Professional Engineers Ontario Engineering Medal - Research and Development. 1997:Ontario Confederation of University Faculty Associations Excellence in Teaching Award. 1997:Elected Fellow, Institution of Engineers, Australia. 1996:Edward G. Pleva Award for Excellence in Teaching, University of Western Ontario. 1993:Elected Fellow Engineering Institute of Canada. 1990:International Geotextile Society "Special Recognition"
1989:Steacie Fellowship (1989-91) by the Natural Sciences and Engineering Research Council of Canada. 1986:American Society for Testing and Materials Certificate "For an Outstanding Technical and Scientific Contribution to the Control of Hazardous Waste"
1986:Distinguished Geotechnical Lecturer for 1986 ‑ Virginia State University and Polytechnique Institute (VPI). 1975:The A.S. McDonald Prize of the Association of Consulting Structural Engineers of N.S.W.